These spider cookies from Hungry Happenings are an easy Halloween treat. 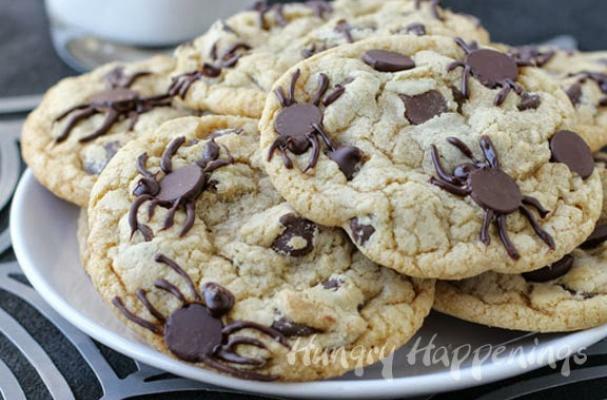 The beauty of this recipe is that you can turn your favorite chocolate chip cookie into a spider cookie. This is a fun food project to do with the kids or a quick goodie you can bring to the office. Even though these cookies might frighten you, they are well worth a bite.